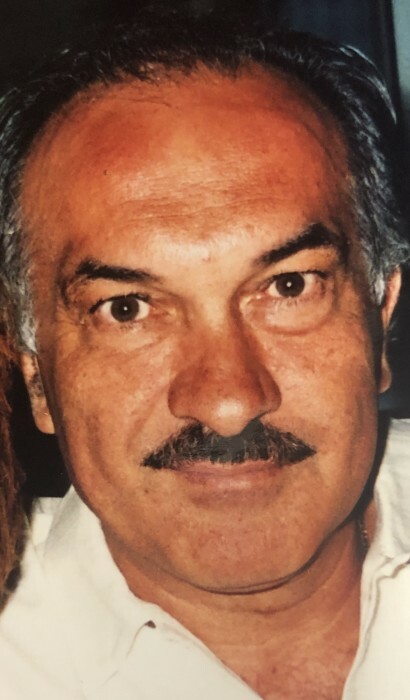 Obituary for Alberto DeSimone | Nardolillo Funeral Home, Inc.
65, of Cranston, passed away on Saturday, February 2, 2019 at home, surrounded by his loving family. He was the beloved husband of Gabriella M. (DelBove) DeSimone and the late Carmela (Simeone) DeSimone. Born in Cervinara, Italy, Alberto was a son of the late Antonio and Caterina (Pisariello) DeSimone. Alberto was a master electrician and proud owner of DeSimone Electric, Inc. Besides his wife, he is survived by his children Elena C. D’Arezzo and her husband Philip, and Antonio DeSimone and his wife Alana, and his nephew Salvatore DeSimone all of Johnston. Alberto was the stepfather of Edda Carmadello and her husband Raymond, Luigi Cambio and his wife Melissa, all of Cranston, and Fonzie Cambio and his wife Lucia of Johnston. He was the cherished grandfather of Carmen, Carmela, and Valentino, and also step grandfather of Raymond, Anthony and Gianluca. Alberto was the dear brother of Elena Ancona of France, Luigi and Carmine DeSimone, both of Italy, and Francesca Porreca of Johnston. He was also the beloved uncle of many nieces and nephews from Italy, France, Switzerland, Germany and Canada including the DeSimone, Simeone, Porreca and DelBove families. His funeral will be held from the NARDOLILLO FUNERAL HOME & Crematory, 1278 Park Avenue, Cranston on Wednesday at 9 a.m. followed by a Mass of Christian Burial in St. Mary’s Church, Cranston at 10 a.m. VISITING HOURS: Tuesday from 4-8 p.m. Entombment will take place in St. Ann Cemetery, Cranston. Visit NardolilloFH.com for online condolences.